We’re not sure what the weather is like where you are, but here in Colorado (New Planet’s home base), we’ve had an unseasonably warm fall. Only now is it starting to feel a bit more like winter. If you’re familiar with the beer world, it will come as no surprise to you that lots of craft breweries and “the big boys” inundate shelves of your local liquor store with seasonal offerings for fall and winter brews. And we’re fine with that! But, with all of those seasonal beers available, it’s easy to forget that sometimes you just want your “tried and true” Go To beer. Enter New Planet’s Blonde Ale. Pouring a light straw color and clear as a summer day, this beer feels like summer in your glass, even if it’s snowing and -10 outside! Our Blonde Ale is 100% gluten free and offers a crisp, refreshing alternative to some of the heavier, spicier offerings available this time of year. Next time you have friends over and are sitting by the fireplace, surprise them by pouring this reformulated (more on this below!) bad boy. We’re willing to bet that they’ll not only appreciate the surprise palette changer, but wait before you tell them it is gluten-free. If you’re so inclined, take a picture of their first (or last!) 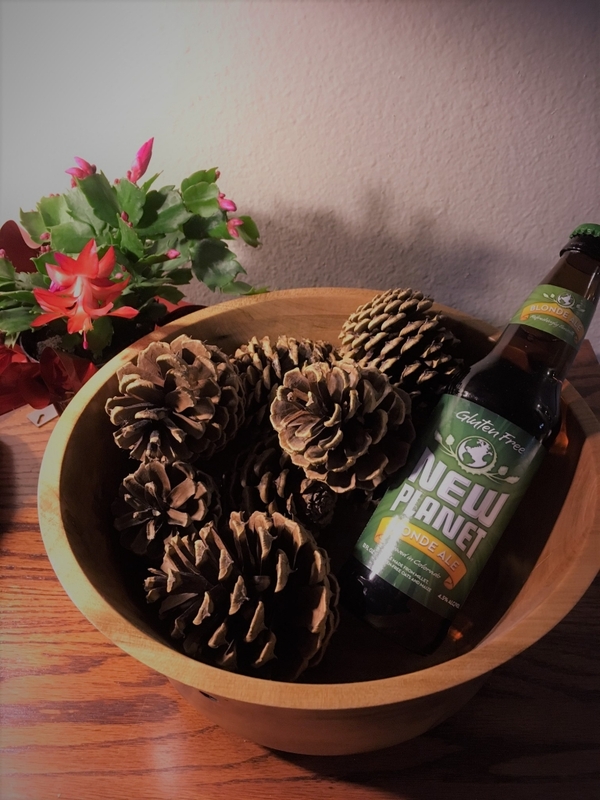 sip and post it to Instagram with the hashtag #NewPlanetBeer. Our new formulation is the real deal. It starts with 100% gluten free Colorado millet grain (rather than sorghum extract), harvested and malted in Colorado by a family-owned farm and malter. It is then combined with fresh American hops to our pure Rocky Mountain water. Simplicity certainly has its virtues! Happy Holidays and cheers to Blondes!